Most of us travel to break up the monotony of life and work. For some, traveling is an excuse for adventure or a chance to explore foreign landscapes. For others, traveling may be an opportunity to relax in a place of beauty or the chance to try exotic foods. Commercial motor vehicle (CMV) drivers spend most of their lives traveling, and while a life on the road may seem exciting, there are burdens that come along with it. Long hours, bad food, constant sitting, and inadequate exercise are all common complaints of CMV drivers that directly affect their health. 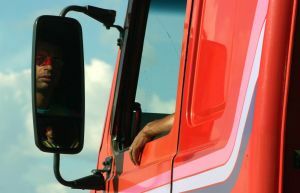 While these may seem like minor complaints, the health of CMV drivers is vital to their career. Why? By law, CMV drivers are required to pass a DOT physical exam every two years to maintain their commercial drivers license. The job of a DOT physical is to evaluate a driver’s overall mental and physical health to ensure he or she is not a danger to him- or herself or other motorists while on the road. Looking For DOT Physical Locations? FastMed Urgent Care has clinics throughout North Carolina and Arizona that offer DOT physicals 7 days a week with no appointment needed. All of our DOT examiners are certified and have met the standards of your state laws and Federal Motor Carrier Safety Regulations. If you wear eyeglasses or hearing aids, bring these with you to your exam. Although passing your DOT physical is crucial to your career, we understand that finding time to do so isn’t easy with a truck driver’s lifestye. At FastMed, we strive to provide our communities with convenient solutions to their healthcare and offer extended hours for people with time constraints or inflexible work commitments. Find a FastMed DOT location near you!